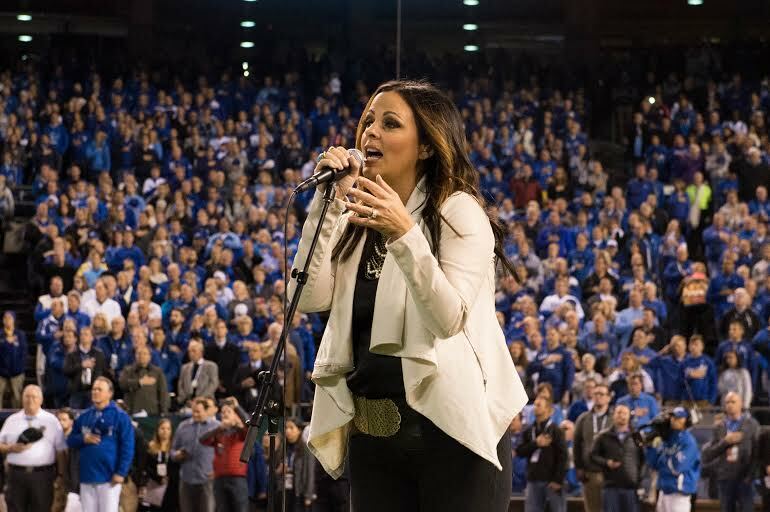 Last night before Game 2 of the Major League Baseball World Series, Sara Evans returned to her home state of Missouri to perform the National Anthem. Kicking off the game between the New York Mets and Kansas City Royals, Sara proved to be just as royal as the roster of men vying for their first franchise championship since the eighties. Watch below as Sara Evans delivers a beautiful performance of The Star-Spangled Banner and makes us all proud to be Americans. Superstar Sara Evans and accomplished songwriters Chris DeStefano, Brett James and Marcus Hummon rounded out the lineup for this week's esteemed CMA Songwriters Series. Stylin' and profilin' there, Ms. Evans.